You’ve gotten hurt in a construction accident in New York or New Jersey. You need help. You need someone to fight for all of the compensation and benefits you deserve. You need someone with the right experience and the right resources on your NY / NJ construction injury claim. You need a law firm that treats all clients with respect and compassion. You’ve found the right law firm. The Ginarte firm has 150 years of combined experience with construction accident lawsuits. With 28 attorneys and a staff of over 85, we are one of the largest firms in the NY / NJ metro area that handles construction injury cases. Helping you is our priority. Ask what we can do for you today. Call 1-888-GINARTE now or fill out our online contact form. Your first consultation is free. You owe us nothing unless you win your case. The attorneys and staff at the Ginarte law firm are passionate about helping people who have been hurt at construction sites in New York and New Jersey. Our commitment shows in everything we do in our law practice. One of the first ways we can help you is to provide important information about NY / NJ construction accidents and injuries and your rights as a victim. The links below give you specific information about your construction accident or construction injury and the legal services we offer at Ginarte O’Dwyer Gonzalez Gallardo & Winograd, LLP. Kinds of construction workers we help ­– Our construction accident attorneys have experience representing all kinds of construction workers who have suffered workplace injuries. Read more about the different construction trades and the accidents and injuries they frequently face. Types of NY / NJ construction accidents we handle – Poorly managed NY / NJ construction sites present many different kinds of accident threats. Read more about some of the more common construction accidents. Construction injuries we frequently deal with ­– Construction workers in the New York metro area suffer serious injuries every day. Our lawyers know how to work with medical experts as we represent people who have sustained a variety of construction site injuries. About the Ginarte law firm – We are proud of our law firm’s three decades of service to injured NY / NJ construction workers. Read more about the New York / New Jersey construction accident law firm of Ginarte O’Dwyer Gonzalez Gallardo & Winograd, LLP. About our NY / NJ construction accident lawyers ­– The Ginarte law firm has 28 lawyers who represent construction accident victims in lawsuits over their injuries. 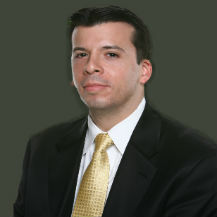 Find out more about our New York / New Jersey construction accident attorneys. Frequently asked questions ­­– If you or a loved one was hurt at a construction site, you probably have lots of questions. To help you out, we have provided answers to some of the questions that clients have asked us the most over the years. Review our construction accident FAQs. The best way for us to help you is by speaking directly to each other. Get in touch with our NY / NJ construction accident lawyers today. Call 1-888-GINARTE now. Or fill out our online contact form. Remember, there is nothing to lose because we collect fees only if you win your case.